I OFFER AN ALTERNATE EXPLANATION OF GLOBAL WARMING AND A PREDICTION. We are in a period between ice ages. The average ice age lasts about 100,000 years. The periods in between vary from 12,000 to 20,000 years. So you could say that the ice age is the 'normal' state of the earth, at least for the last few million years. We are lucky to be living in a balmy period, especially those living in the higher latitudes. The ice age will eventually return. When, is hard to say. So you see that in the really long term the human race should be worried about cooling not warming. That will be some serious cooling not some minor fluctuation..
Superimposed on this very long period cycle is Pettersson's 1800 year cycle. According to him warming will continue till about 2400 AD. This will lead us to a period of BALMY, BENEVOLENT, AND BENIGN CLIMATE. Nothing to be afraid of. Do not worry. The icecaps did not melt around 500 AD and they will not melt now. On top of the sum of these long period cycles, there are relatively short 'warm and cool' periods. The effects of these are most evident at the higher latitudes especially in the North Atlantic basin. Now you know why the Norwegians got alarmed and gave the peace prize to Al Gore and the IPCC. They have unfortunately forgotten their own history. The fact that Pettersson was Swedish may have something to do with it. The Norwegians are not too keen on things Swedish, though they seem happy enough to dole out the peace prize. I am glad to announce that their fears are baseless. Maybe they will give me a little something for giving them peace of mind. Anyway, back to the point. The last 'warm' period was between about 1919 and 1950.It then cooled slightly. We have just gone through a 'warm' period that started around 1980. This has now run its course. 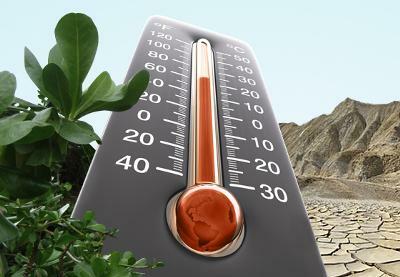 According to the IPCC's own figures the hottest year was 1998. It has been flat or cooling slightly since then, according to them. The arctic sea ice minimum, at the end of summer, was at its lowest in 2007. The area covered by sea ice has increased since then. 2010's minimum was 500,000 sq km more than in 2007. That's a lot of sq km. Antarctic sea ice has been growing slowly for many years. I PREDICT. This slow cooling trend will accelerate and become more pronounced. In a few years the trend will be so obvious that it cannot be denied. This cooler trend will continue for two to three decades. I just hope there is no major volcanic eruption in the near future that gives the scaremongers a bolthole. As I have said before I am not too keen on this 'average of averages' stuff. Just keep an eye on the Arctic sea ice. It is the best and easiest indicator to watch.